The Hawaiʻi Police Department would like to remind all motorists of the July 4th festivities road closures. 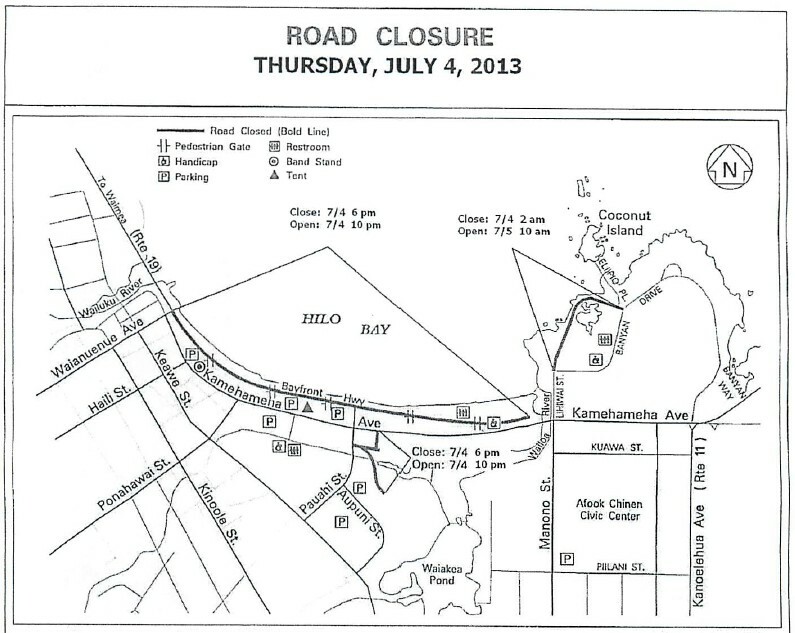 Closed July 4th from 6:00 p.m. to 10:00 p.m. Alternate route is on Kamehameha Avenue. Closed July 4th from 2:00 a.m. to July 5th 10:00 a.m.
Closed July 3rd from 3:00 a.m. to July 4th 10:00 p.m.
For further road closure information, please contact the Hawaiʻi Police Department’s Community Policing Section at 961‑2350. Thank you for your patience and understanding during this annual celebration.